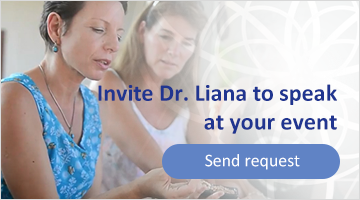 Our Holistic WEIGHT LOSS AND BODY MODULATION Program consists of recommendations, practices, and protocols developed over 20 years’ experience of Dr. Liana Nenacheva. Liana is an experienced practitioner of Facial Rejuvenation and Acupuncture Body Modulation. Ms. Nenacheva has studied extensively with an internationally recognized expert. Ms. Doran, who is working with Hollywood celebrities as Madonna and Gwyneth Paltrow. Our body is self-detoxing, self-cleansing machine, that is able to get rid of the excessive weight naturally. This is what it is designed to do. 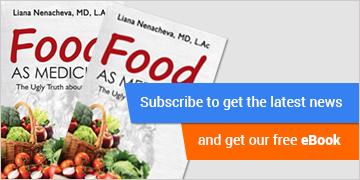 Get personal nutrition and lifestyle advice and learn how you can optimize your daily life to maximize the healing and the detoxing capacity of your body. We use simple and successful techniques proved over millennia, incorporating the healing properties of whole fresh foods and natural supplements, infra-red sauna, ozone therapy, massages and spa treatments, detox bathes, lymphatic drainage and Yoga that enhance your detox. 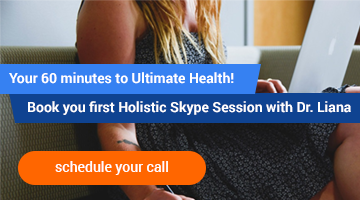 Under the compassionate care and supervision of experienced health and wellness professionals, these days could be the most transformative period of your life. The Aesthetic Body Sculpture/Acupuncture Body Modulation (ABM) is a holistic therapy developed by a combination of Acupuncture, Naturopathy and Neurophysiology. ABM is a very effective method designed to help the whole body both look and feel younger which rejuvenates and revitalizes the physical and subtle body and mind. The visible aesthetic results on the body are generated from treating both the root (Ben) and the cause (Biao) reflecting the improvement in overall health that is simultaneously achieved. Simple, delicious recipes that you, your friends and family will love. Treatment Program: A custom-designed program including rejuvenation& anti-aging and weight loss Traditional Chinese Medicine treatments, movement therapy, meditation, nutritional counseling, cocking lessons and herbs and supplements. Detoxification (Removal of existing toxins): food, detox drinks, detox bath. (Building immunity with herbs, immune boosters, superfood and so on). At-Home Treatment Plan: A plan to nourish your inner healing potential in the context of your daily life. You can choose the full program, that includes ABN. Also you can choose the light variation of The Holistic Weight Loss program, which consist SPA treatments and Weight loss nutrition and movements (without ABN). What is The Aesthetic body sculpture/ Acupuncture Body Modulation (ABM)? ABM is more than a cosmetic treatment. The ABM treatment is based on the principles of Oriental Medicine and involves the insertion of hair-thin needles into particular areas of the body, ears, neck, hands, trunk, and legs along channels or meridians of energy called Qi. Specific points are chosen to manipulate the movement of energy in the body according to the individual’s needs. Thus, practitioners of ABM know how to specifically effect the particular part of our body while simultaneously treating the underlying factors that contributes to the aging process, overweight, fat deposits in some part of the body and cellulitis. Acupuncture Body Modulation will show results as early as the first treatment. The effects of acupuncture being cumulative, the results continue to progress through the course of treatment. Techniques can also be employed to eliminate broken capillaries. All of this action will activate the remodulation of the body. But the most important result is the improvement of your total health. The person is treated and evaluated on the body-mind continuum–the foundation of holistic medicine. Acupuncture benefits are cumulative in effect and with ABM tend to become significantly more noticeable and lasting midway through the series. The subsequent treatments help to ensure the magnitude and duration of the effects from ABM treatment series. Traditional Chinese Medicine (TCM) has been used for almost 5,000 years to treat a wide range of conditions. Having proven itself with literally billions of people, Traditional Chinese Medicine has survived the test of time. The use of TCM and acupuncture in cosmetology has already attracted great attention in Japan, Hong Kong, and Sweden. The effectiveness of Acupuncture is due to its direct manipulation of the body’s energy system–balancing, removing blockages or adding energy when necessary. This method can be used prior to a surgical correction to inquiry. Already after the first treatment, there are visible results.